Jennifer Bury is a movement therapist in San Francisco with a practice that spans three decades working with a spectrum of patients. 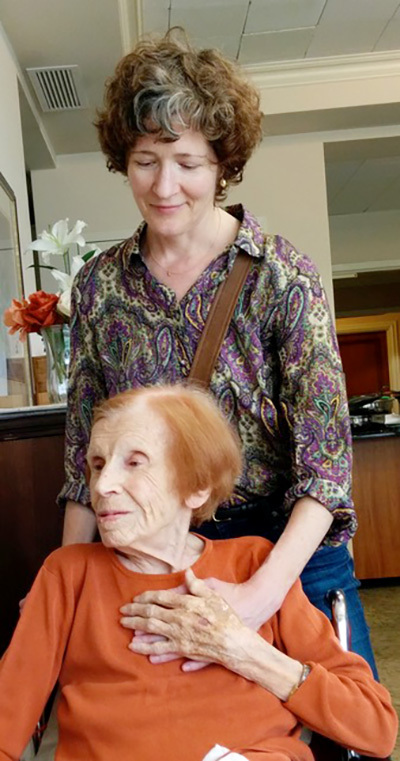 Here, she discusses the value of movement therapy, the necessity of exploring different methodologies, and her desire to connect and understand those with whom she works. What was your intro into the world of dance and movement therapy? When I was five years old, my mother sent me to the 92nd street YWHA in New York City, where I grew up, to take creative movement classes from a wonderful teacher named Susan Schickele. She had us do what I would describe as expressive experiential kinesiology. It was like an American version of what Mary Wigman was doing. We got to be colors and feel our bones and interact with each other via elements of contact improvisation. It was the one place I felt truly free and had a sense of myself in motion. I stayed with those classes on and off until I went to college. I was studying pre-med at NYU, and when I heard that the Tisch School of the Arts was having auditions for dance, I went and got accepted. Suddenly I was taking technique classes, which I hadn’t taken before. This was a daunting experience, and nowhere near as much fun as the dancing I’d done at the 92nd Street YWHA. Technique did not interest me, even though I stayed with the program, because I had the great opportunity to study with André Bernard in his Ideokinesis courses, and I studied Body-Mind Centering and Alexander Technique on my own. I stayed with my fascination of how bodies work. I was interested in functionality – the kinesiological aspect – and expression – the emotional or psychological aspect. Dance is an expression of self through the moving body in contact with others. These studies led me to call myself a movement therapist at a time when I didn’t know anyone else calling themselves that. How would you describe what you do to someone unfamiliar with your work? My work is always evolving, so my answer has evolved too. I usually tell people that I work with a full spectrum of ages and conditions, from infants, those struggling with a birth defect or neurological symptoms, all the way to the elderly, who might have Parkinson’s or a systemic illness, and everything in between, whether that’s someone who has had a hip replacement, someone dealing with depression, or someone who is ill and will not recover, in which case I work with the patient and family through the dying process. The theme is always that I work with what that person is dealing with at that time. I’m very curious about what is happening for my patient. It takes me past my knowledge and I get to learn about their world, how they interact, what is important and what has meaning for them. Through that, I find a way through movement – often a gesture or sometimes an exercise – that allows them to feel themselves differently. That opens new possibilities for how they can literally move through the world. What are some of the strengths and weaknesses of movement therapy? I have a gripe with a lot of movement modalities that are meant to be therapeutic but in my opinion are quite condemning of an individual’s movement patterns and mode of coping. For example, if an individual presents a therapist with a physical difficulty, the individual is often told they are moving wrong, rather than the therapist recognizing that the pattern the individual has come up with has served them at some time in their life. How we learn to cope is both emotional and physical, since every thought is an action. When the individual is told they are moving wrong, they relinquish their agency to the therapist. As a therapist, when someone comes to me and I see they are contributing to their own discomfort by a certain habit, if I point out that they could move in a more functional way, it diminishes their ability to find control or agency over their own change and process. Instead, if I can be interested enough to discover how they came up with what they are currently doing and the wisdom in how that pattern has been working for them up until now, then I have a sense of where they are starting from, and I can lead them to their own discovery of what might be easier/better for them now. Then it’s a co-creative process rather than me dropping a modality or fix onto them. I want my patients to discover and, in order for them to discover, I have to be curious enough about their own experience for me to be able to lead them. I have to learn how they relate to the world, and when I reflect that back to them, they become aware of what they do in their lives. From there, we can discover other possibilities together. To give a literal example, someone speaking to me might move their hands from their breast bone area toward me, opening their fingers. In that gesture, I see their desire to reach me or connect with me. If I reverse that in my mind, I see someone pulling back in toward themselves. It’s a different way of relating to the world. It’s a person wanting others to reach them, versus reaching out. That’s an over simplification, but it gives an idea. You’re teaching a workshop this October, Meeting in Motion, at ODC in San Francisco. When you teach workshops like these, what do you hope participants take away? I hope they take away how important how we move in relation to each other is. We are always in communication with each other in nuanced and rich ways. My overall wish for myself and others is to increase empathy through feeling oneself connected to others in motion. How much training or education is necessary for someone to facilitate movement therapy? That’s a good question because I’m recognizing times that I’ve gone to workshops and the facilitator hasn’t had a grasp of what they’re teaching in relation to other methodologies. It’s important to get some experience in different approaches so you can experience the range of methodologies out there. From there, you must find what speaks to you. I wanted to find something that allowed me to build my own strengths and develop my own voice, rather than teaching someone else’s approach. What’s exciting is when someone discovers their own form of movement therapy by being exposed to many approaches. There’s excitement in finding your own way, but it takes exposure to knowing what’s out there. You have to discover what the movement therapy landscape looks like and where you want to place yourself. This is a discussion as old as the field. Sometimes it happens that people have tried to trademark or codify a method as a way to make money off of it, versus creating programs that give an inclusive overview and don’t preference one method over another. It would be great if education included a range of approaches. You know, my mother worked with Joe and Clara Pilates in their New York studio. I grew up with her doing her Pilates mat work every morning naked on the living room floor. That was a whole lot more interesting to me than breakfast, and served as an early anatomy lesson. It was a tender time and a lot of fun. We were intimately connected, trying to achieve intricate movements. When I took Pilates later as a young person, it was a totally different experience and no fun at all. It was military-like, and I learned there are very clear “rights” and “wrongs.” If I went to a Pilates instructor thinking they were a movement therapist, I would get a narrow perspective. Same with yoga. The instructor is coming from one perspective. I think if you’re going to call yourself a movement therapist, you need an array of approaches, and then go beyond them by discovering what each person you’re working with is presenting. As a young person, I assumed someone had the answer, but I discovered that there isn’t one. Each person who makes a contribution to the field comes from their own place, and my interest is to understand my patient’s perspective and then make them aware of it. What direction would you like to take your work in the future? Even though I’m 57 now, I feel like it’s just been the past few years that I’ve wanted my work to reach more people, so that I’d have more people to play with, and learn with and from. I’ve been working with individuals in my office day in and day out and, though I do get to travel to teach, I have missed getting to share the discoveries I’ve described with others in a bigger way. By teaching this upcoming workshop, it’s a way for me to let my community know what I’m doing and, if it interests them, they can enjoy their own process of discovery. That, to me, is really stimulating and exciting. I want other creative people to play with and evolve what they’re doing with what I’m doing, together. With dance teachers, there’s an assumption with how they can touch and correct students that may not feel comfortable. I had such a rare first experience of dance in my creative movement classes at the 92nd Street Y where there was no wrong or right. Versus when I got to NYU, I only got negative feedback about my alignment. I had a dance company when I was in my 20s. I was a choreographer and performer, and I realized that I would get on stage and pour my heart out to a black hole filled with people I couldn’t see. I never really felt like my movement was in connection to others. The reason I stopped performing and choreographing was specifically because I missed that connection. Jennifer’s upcoming workshop, Meeting in Motion, will be held October 6th from 1-5pm at ODC’s Theater Building in San Francisco. To learn more, visit jenniferbury.com/workshops. 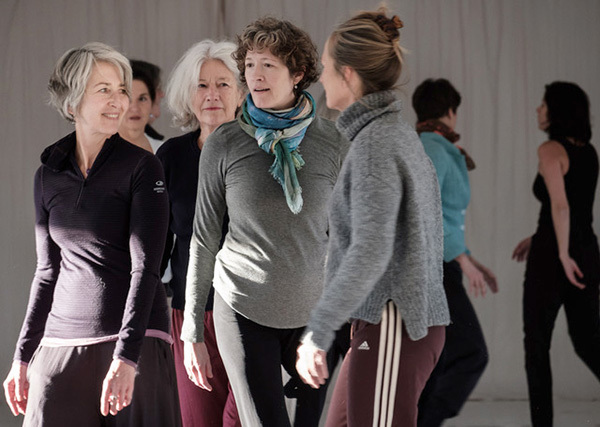 Jennifer Bury began her interest in the intersection of physiology and movement during her studies at NYU’s School of Medicine and NYU’s Tisch School of the Arts in dance. Early in her career, she co-founded a dance company and worked as a choreographer. Now based in San Francisco, Jennifer has been a movement therapist in private practice since 1985, working throughout the United States, Europe and Asia. In addition to her medical, dance and kinesiology background, Jennifer is a certified trainer in Developmental Somatic Psychotherapy™ and assists founder Ruella Frank in teaching her certification programs worldwide. Jennifer has also studied neuroscience, Gestalt Therapy, osteopathy, clinical anatomy, Ideokinesis, Bartenieff Fundamentals, Bioenergetics, Feldenkrais, Alexander Technique, Body-Mind Centering, Authentic Movement, shiatsu, aikido, as well as various forms of yoga and breath work.